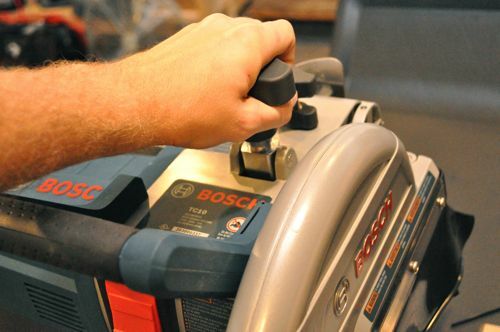 Editors Note: If you’re interested in learning more about the Bosch TC10, check out the full review, and see what a pair of professional tile installers had to say. 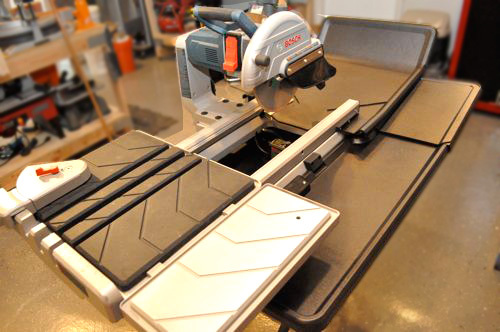 I just received the new Bosch TC10 tile and stone saw and folding stand yesterday, and I’m really excited to get this into the hands of my tile contractors. 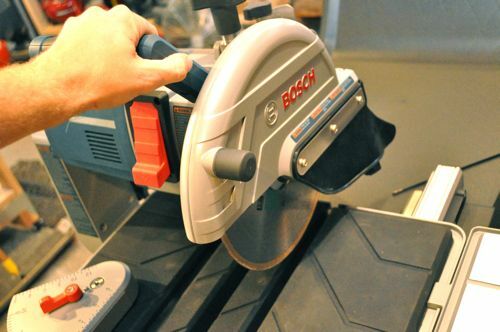 I saw this saw for the first time a few years ago at a Bosch media event, and was blown away with the smooth action of the sliding table. 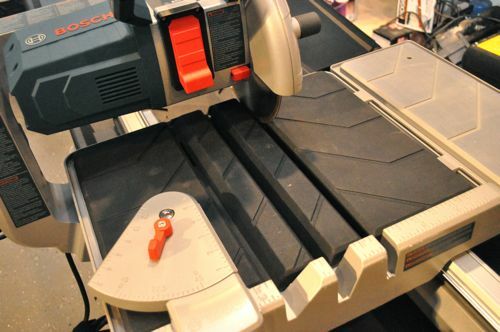 Plus, this saw can do it all- 24″ rip capacity, bevel cuts and plunge cuts. Here’s a first look at the TC10, and you can expect a detailed review to follow. 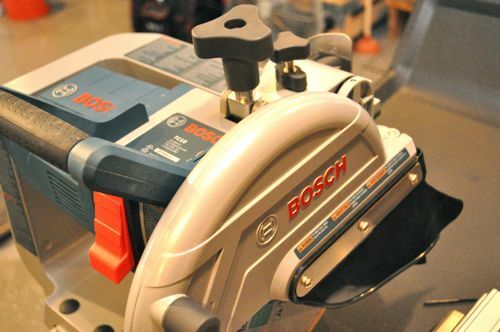 Bosch positioned 4 sealed ball bearing casters on the underside of the table, and these casters ride on stainless steel rails. I’m curious to see how consistent the table moves after cutting a bathroom worth of porcelain tile. 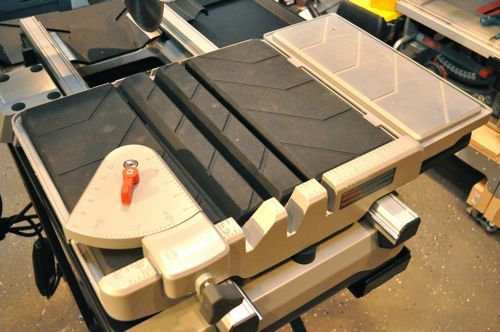 The top of the table is rubberized, and with the extension, the large work surface is perfect for supporting large dimension tile. 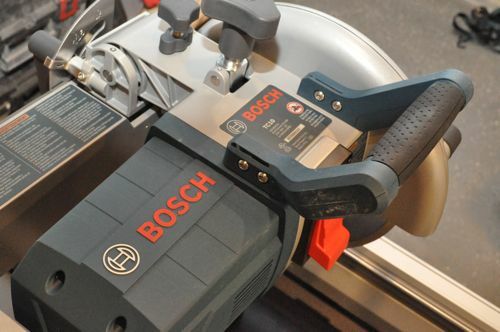 Bosch includes a quick-adjust guide for angled cuts with detented stops at 22.5° and 45° angles. 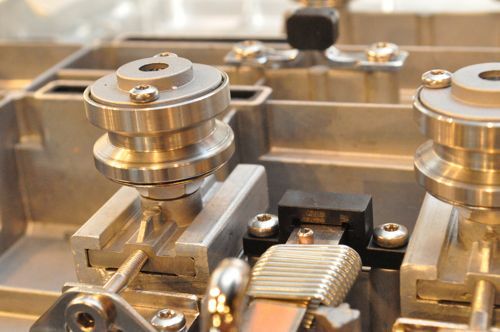 By the motor housing are two knobs. The larger one is a depth adjustment knob for making plunge cuts, and the smaller knob is depth stop knob for setting the maximum depth. 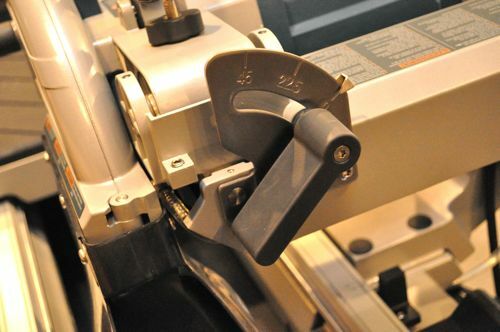 On the backside is the bevel adjustment lever for making 0°, 22.5° and 45° bevel cuts. 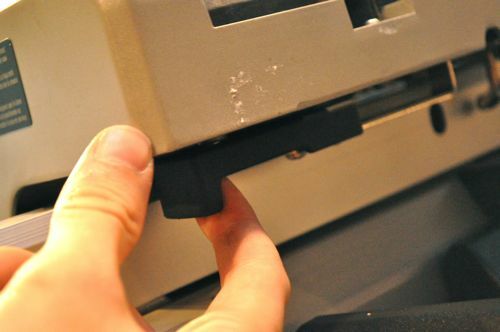 The guard unlocks with a knob providing easy access for blade changes. 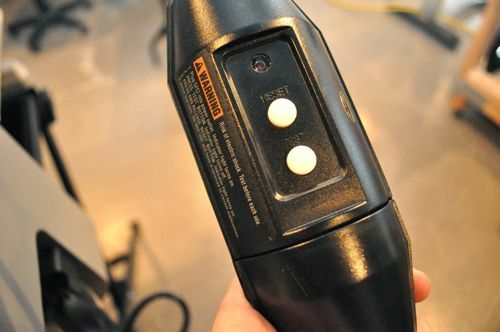 Bosch integrated a GFCI into the power cord. 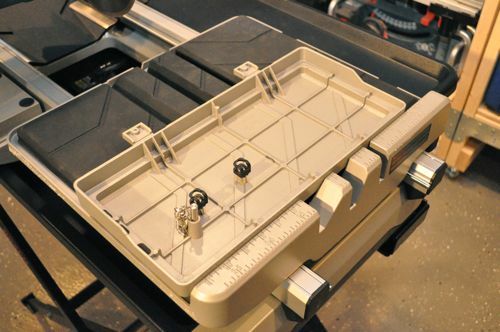 The table has a small, spring-loaded catch on the underside that will lock the table for transporting the saw, and the extension can be secured with a pin on top. My favorite feature of that saw is the water/splash guards. More saws need those. I used saws with many of the other features you highlighted but I’ve never seen one with the overspray catchers. I haven’t seen the splash guards in action yet so I curious how much spray they catch. Also, they make the footprint a good deal larger, and I’m not sure if a Pro will bother. Tile guys I’ve seen setup plastic, and the splash guards will have to work exceedingly well to eliminate that step. Beautiful looking piece of machinery. 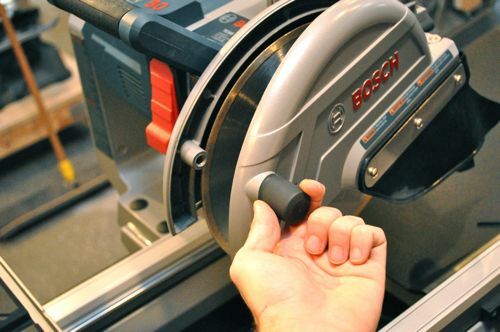 Not surprised to see Bosch on top of their game, as per usual. The bosch ones looking way better. I did however get a good price on the one above that price they advertise is regular they go on sale a lot. I like the idea of the rubber mat for the tiles to set on. 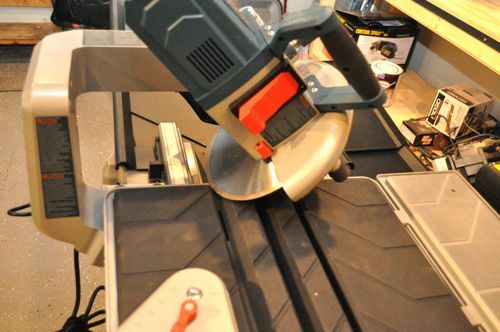 I have a cheapy wet tile saw. Does fine for the limited amount of tiling I do, but I can see the advantage of having a nice one if you tile frequently. sure looks nice. Looking forward to hearing how it performs. What’s the price tag?